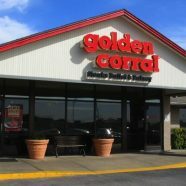 We are giving away 10 $25 Golden Corral gift certificates to first time visitors to our Buford meeting in May! If you have never attended a United Tea Party of Georgia meeting (or if you can’t remember attending one) you are eligible. 1 – Make sure you can attend our May meeting – Tuesday, April 24, 7:00 pm, Golden Corral, 4020 GA-20, Buford, Georgia. 2 – Send an email to info@utpog.com. Include your name and address. 3 – We will collect all the emails that we receive, and the first 10 will be the winners. Since the winner must attend the meeting to pick up the certificate, we are certain that not all 10 will show up. So even if you think you are too late, send your name in anyway. We will build a list of all names we receive in order and when some of the original 10 don’t make it we will continue going down the list until all 10 are given away. We will give away the 10 certificates from 6:30 pm to 7:00 pm to the first 10 people on the list (the guaranteed winners) only. The meeting starts at 7pm, and if all 10 original winners haven’t claimed their certificate by 7 we will go down the list during the meeting, starting with any of the original 10 who did not show, until we have given away all of the certificates. I know what you are thinking: I can send in my name, come and get my certificate and not attend the meeting. Yes, you could, and we won’t try to stop you. But think about it – you can eat at Golden Corral any old time, but how often can you eat and discuss conservative issues with your meal? Also, if you are coming with your wife we would really appreciate it if you would just put down one name. Again, we can’t stop you, but it would really be nice on your part. So, send in those names! By Monday evening or Tuesday morning we will send you an email indicating where you ended up on the list and if you were a guaranteed winner or not. If you are in the top 10, come to the meeting and get your $25 certificate. If you are number 12, I would bet that you will win anyway. If you are number 30 or so we would still love for you to attend but it is unlikely you will win. NOTE: I paid for these certificates personally, and no United Tea Party funds were used to support this promotion.